In June 2014, CMLC sold a land parcel near the historic St. Louis Hotel to Knightsbridge Homes – our first major land deal with a Calgary-based developer. Designed with Generation Y in mind, Knightsbridge Homes’ project along 8th Avenue SE added 168 new condominium homes to East Village. The company behind University City – a mixed-use project of 705 condominium units in Calgary’s northwest community of Brentwood – Knightsbridge Homes is no stranger to designing and marketing residential condominiums for Gen Y buyers. 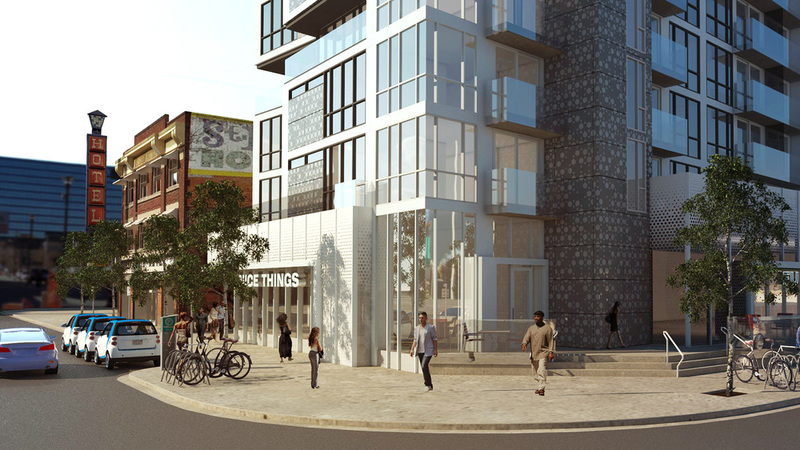 Shorthand for “New Attitude, New Living, New Vision,” N3 is imagined as a vehicle-free, no-parking condominium project that dovetails with the City of Calgary’s stated transportation objectives, advances East Village as a Transit Oriented Development and aligns with the well-documented wishes of Gen-Y consumers. N3’s location steps from the LRT line makes the site easily accessible to young urban explorers working in the downtown core and students attending classes at Bow Valley College or the University of Calgary’s downtown campus.